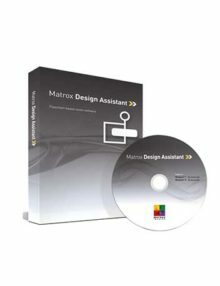 SKU: Matrox Design Assistant 5.1-1. Categories: Broadcast, Industrial, Medical, Software, Software, Matrox Imaging. 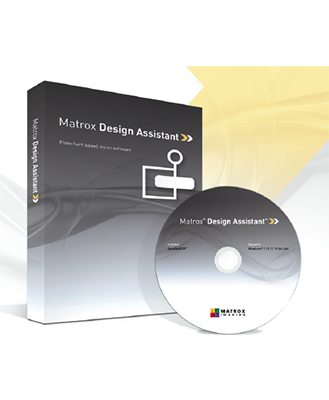 Matrox® Design Assistant is an integrated development environment (IDE) for Microsoft® Windows® where vision applications are created by constructing an intuitive flowchart instead of writing traditional program code. In addition to building a flowchart, the IDE enables users to design a graphical web-based operator interface for the application. Since Matrox Design Assistant is hardware independent, choose any computer with GigE Vision® or USB3 Vision® cameras and get the processing power needed. Work with multiple cameras all within the same project, or per project running concurrently and independently from one another2 . This field-proven software is also a perfect match for a Matrox vision controller or the Matrox Iris GTR smart camera. Matrox Design Assistant offers the freedom to choose the ideal platform for any vision project. analysis and processing, communication, flow-control, and I/O. Outputs from one step, which can be images and/or alphanumeric results, are easily linked to the appropriate inputs of any other step. Decision making is performed using a conditional step, where the logical expression is described interactively. Results from image analysis and processing steps are immediately displayed to permit the quick tuning of parameters. A contextual guide provides assistance for every step in the flowchart. Flowchart legibility is maintained by grouping steps into sub-flowcharts. and outputs (original or derived results, and status indicators). A filmstrip view is also available to keep track of and navigate to previously analyzed images. The operator interface can be further customized using a third-party HTML editor. 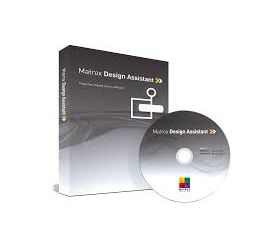 Users have the ability to extend the capabilities of Matrox Design Assistant by way of the included Custom Step software development kit (SDK). The SDK, in combination with Microsoft® Visual Studio® 2013/2015/2017 enables the creation of custom flowchart steps using the C# programming language. These steps can implement proprietary image analysis and processing, as well as proprietary communication protocols. The SDK comes with numerous project samples to accelerate development. The web-based operator interface, or Operator View, can be accessed locally or remotely through a HTML-5-capable web browser4. Local viewing is done on the same computer or Matrox vision controller as was used for development. Local viewing is also available with a Matrox smart camera through a simple touch screen connected to its video output and USB interface, which eliminates the need for an additional computer. Remote viewing is done from any computer, including dedicated HMI or touch-panel PCs. 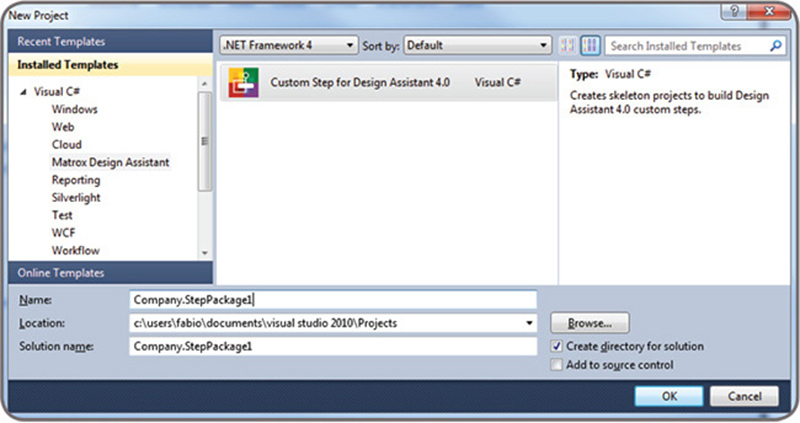 A stand-alone HMI application can be created using Microsoft Visual Studio to run on the local or a remote computer as an alternative to the web-based operator interface. 4. Internet Explorer, Google Chrome™ / Chromium, and Firefox®. 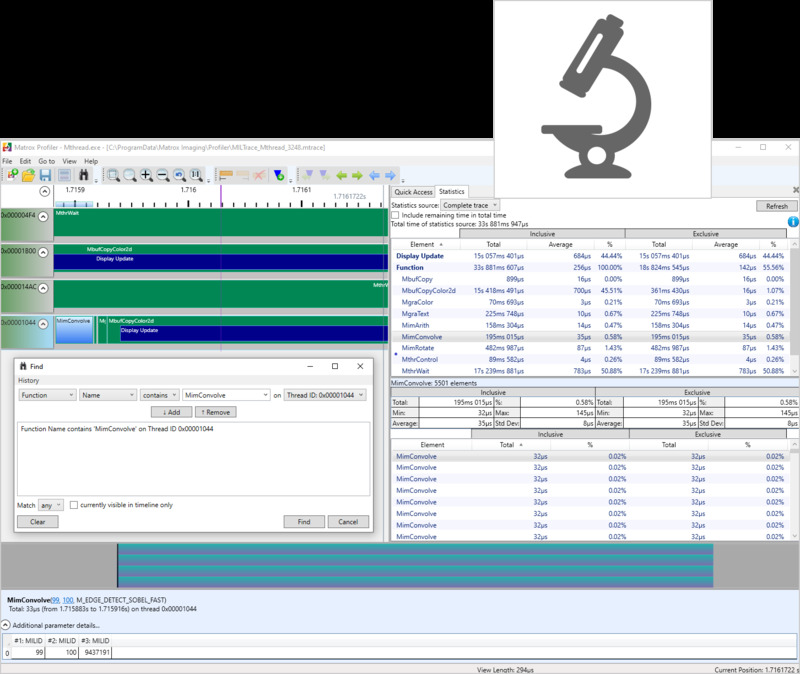 Matrox Design Assistant includes Matrox Profiler, a separate utility to post-analyze the execution of a vision project for performance bottlenecks and timing issues. It presents the flowchart steps executed over time on a navigable timeline. 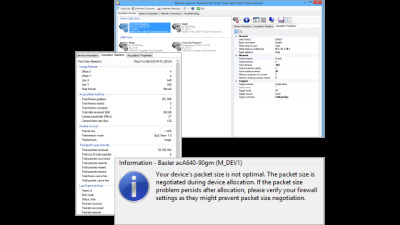 Matrox Profiler permits searching for and selecting specific steps and their execution times for analysis. It computes statistics on execution times and presents these on a per step basis. Matrox Design Assistant can capture images from any GigE Vision and USB3 Vision compliant camera. The software can communicate over Ethernet networks using the TCP / IP as well as the EthertNet / IP2, Modbus over TCP / IP, and PROFINET protocols, enabling interaction with programmable logic / automation controllers. Its QuickComm facility provides ready-to-go communication with these controllers. Matrox Design Assistant supports direct communication with select robot controllers5 for 2D vision-guided robotic applications. Matrox Design Assistant can also be configured to interact with automation devices through a computer’s COM ports. Matrox Design Assistant can directly interact with the I/Os built into a Matrox vision controller, smart camera, and I/O card as well as the I/O available on a GigE Vision or USB3 Vision camera. 5. Currently supports ABB IRC5, DENSO RC8, Epson RC420+ / RC520+, Fanuc LRMate200iC / LRMate200iD, KUKA KR C2, and Stäubli CS8 / CS8C HP / CS9 controllers. An intuitive, versatile and extendable integrated development environment for machine vision applications. Easily and quickly solve machine vision applications without writing program code using an intuitive flowchart-based methodology, Choose the best platform for the job using a hardware-independent environment that supports any PC with any GigE Vision or USB3 Vision camera, and Also deploy the same project to a rugged and reliable Matrox vision system and smart camerav.